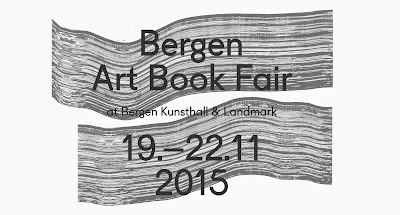 BERGEN ART BOOK FAIR in Norway from 19th - 22nd November 2015. We would love to see you there. Using Orizome Japanese dying techniques we will explore the effects of geometric folding forms on mulberry paper to create endless combinations of possible patterns and colour. In using folding as a resist method and dye pots of inks, you will experience the surprise of the unfolded orizome emerge. You will gain insight into a traditional Japanese practice which continues to be in use as a decorative technique still mastered today. On day two we will use the unique papers created as covers for a series of 4 Japanese stab sewn bindings (four hole, noble, tortoise shell and hemp leaf). This course is suitable for those with an interest in cross-processing, a love of textile repeat pattern, and those with a degree of bookbinding experience. For enquiries and bookings visit Hot Bed Press. Mokuhanga is perfect for artists interested in a non-toxic, table-top, meditative printmaking technique. Learn the basic skills to create a key block and colour separation print, in the tradition of Ukiyo-e, using Japanese tools and materials. With countless possibilities, and minimum equipment (only a baren, no press required! ), you will be sure to fall in love with both the process and results of this accessible printmaking method. 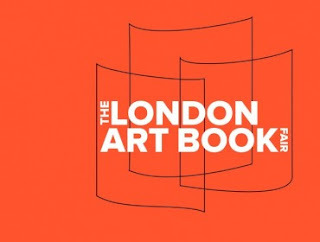 Battenburg Press will be exhibiting at this years' London Art Book Fair this Thursday 10th September - Sunday 13th September at Whitechapel Gallery, as part of the MCollective stand. We will be launching brand new works on paper including 'Nineteen Fuji Views' hot off the press. Cost: £10.00 on the door / £5.00 members and advanced tickets. Between August 20th - 30th, the work of the artists' of the recent Mokuhanga Innovation Laboratory Basic Training Program will be exhibited at the CfSHE Gallery, Arts Chiyoda 3331, B109, 11-14, 6-chome, Sotokanda, Chiyoda-ku, Toyko, Japan. 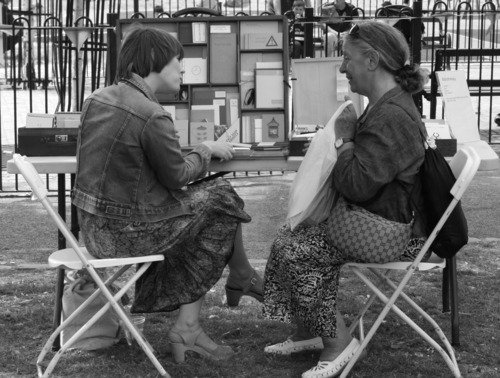 ‘The BABL project is a public intervention art work, combining a long established interest in the act of reading, emotional fluency, empathy and art as a therapeutic device. Experience a unique weekend workshop in Japanese book binding and box making. Learn the skills to make 4 different Fukuro Toji binding styles, (four hole, noble, tortoise shell and hemp leaf) housed within a Hako Chitsu fold-down Box. Using authentic Japanese printed papers, washi, and vintage kimono fabrics sourced from Japan, this course will give you the opportunity to create a selection of the strongest, most elegant and practical bindings for printmakers and artists’ working with the book form. 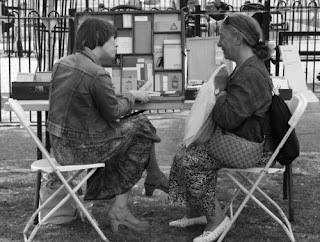 Summer time WORKSHOPS & TALKS in the UK at Hot Bed Press. Maximum of 9 people - For enquiries and bookings visit the Hot Bed Press site here. Lucy May Schofield has been working in Japan for the past 2 years, taking part in the artist-in-residence program at ‘MI-LAB’ (Mokuhanga Innovation Laboratory) and learning about Japanese hand paper making at ‘Awagami Factory’. 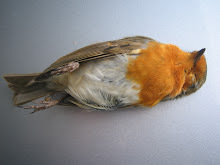 We are really pleased to have Lucy back with us on a flying visit. Lucy has taught for Hot Bed Press for 8 years and is an internationally renowned book artist with work in many collections. 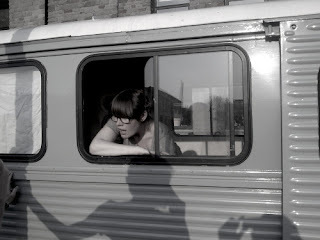 She also works with Sylvie Waltering, (who runs our year-long book arts course), as the other half of 'Battenberg Press'. 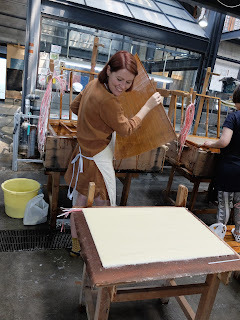 Returning to the UK for the Summer, after spending two years in Japan, Lucy May Schofield will give a talk about her recent residency at ‘MI-LAB’ (Mokuhanga Innovation Laboratory) and learning hand paper making at ‘Awagami Factory’. 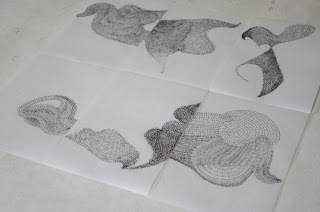 Drawing on the important cultural relationship between paper making and printmaking, she will introduce and show samples of both washi (handmade paper) and mokuhanga (Japanese woodblock prints). 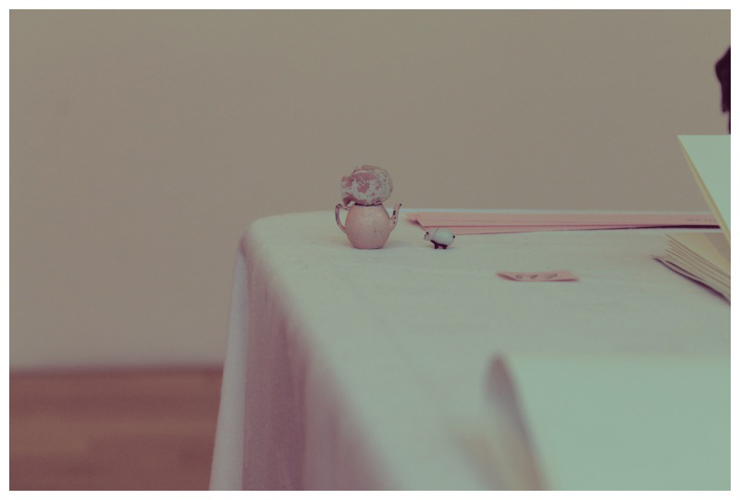 Lucy will share her knowledge, ideas and inspirations from Japan, with a focus on how to adapt these traditional materials and techniques into a contemporary art practice. Note Prices are £5 Advance and £10 on the door irrespective of membership status. Maximum of 40 people - For enquiries and bookings visit the Hot Bed Press site here. This exhibition is happening now. I am delighted to have asked to present at this years' 'TEDxFukuoka Women' Event on Saturday May 30th. 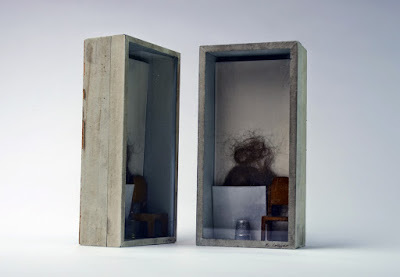 I will be talking about the 'Bibliotherapy Artist's Book Library' project joined by two inspiring speakers whose talks will be based on the event theme 'Momemtum'. TEDxFukuoka (Joe Okubo, Organizer) will host a public TEDxFukuokaWomen event entitled “Momentum” on Saturday, May 30th, 14:00-19:30, at Momochi Palace (Sawara-ku, Fukuoka). TEDxFukuokaWomen is one of the 2015 TEDxWomen events being held in Japan. The event will be complemented by 3 exceptional speakers, including Reiko Nakamura, Managing Director of Schawk & Anthem Japan. Includes an on-demand screening from Monterey, CA, and three presentations from our local speakers.